I love me some Hold Steady and I love me some Art Brut. Therefore, I love me some November 21 @ Terminal 5. 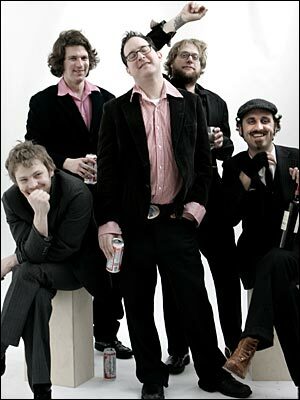 "We are super happy to be touring with Art Brut," said Hold Steady frontman Craig Finn. "I believe Eddie Argos to be one of the finest current lyricists in Rock. I believe he completely understands the place for both humor and honesty in Rock 'N' Roll."